Charity Bingo is a popular online bingo site with a bit of a twist. Launched in October 2012, Charito Bingo donates some of their profits to charity. Each month, a different charity is chosen, and each time a player deposits £20, £1 is donated to the selected organization. 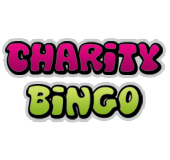 Charity Bingo is always looking for new charities to donate money to and welcomes suggestions from players if there is a charity close to their heart. 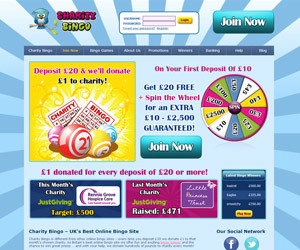 Charity Bingo recently updated their site in October of 2014 and now allows players to nominate new charities every month. They're also offering a 500% deposit bonus until the end of November and also win up to £2,500 on Spin The Wheel! Charity Bingo promises loads of bingo, including 75 ball and 90 ball games. Additionally, there are numerous side games to choose from, including casino, slots and instant win games. There's something for everyone and you can stay entertained and winning whilst your bingo games are in progress! Charity Bingo offers loads of fabulous promotions. To begin with, when you sign up, you will receive £20 FREE on your first deposit of £10 PLUS a spin on the wheel where you can win an extra £10 to £2,500 guaranteed! Mondays don't have to be such a downer. Play Monday Madness every Monday between 4pm and 7pm in the Lucky Stars room. The one line and full house jackpot amounts switch, meaning you don't have to only get a full house to win big – you can win with just one line! Charity Bingo also has exclusive Jackpot Games where you can win up to £1,000 every week! There are 4 jackpot games each week and you can pre-buy your tickets. On the last day of each month, these monthly games have an extra big jackpot! Charity Bingo is dedicated to providing the best and safest online gaming experience. Everyone who works for us has loads of experience, providing you with the best in all your support and service needs. 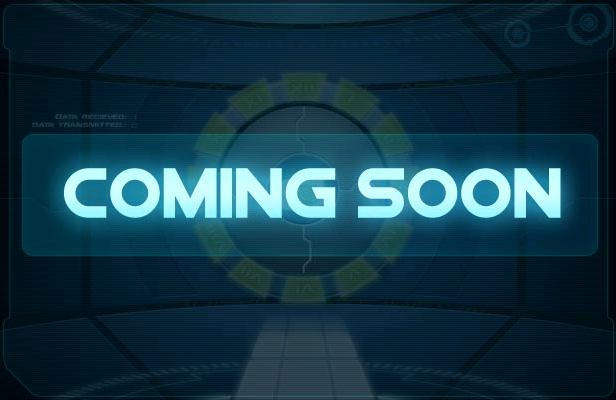 We are always developing new features to ensure your gaming experience is nothing but the best!